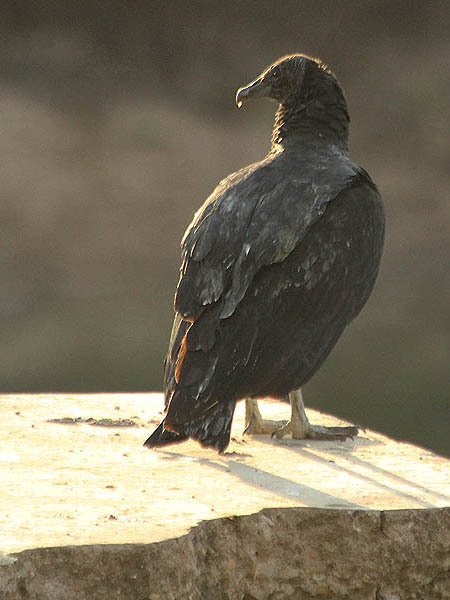 Black Vultures spend the night in large communal roosts. 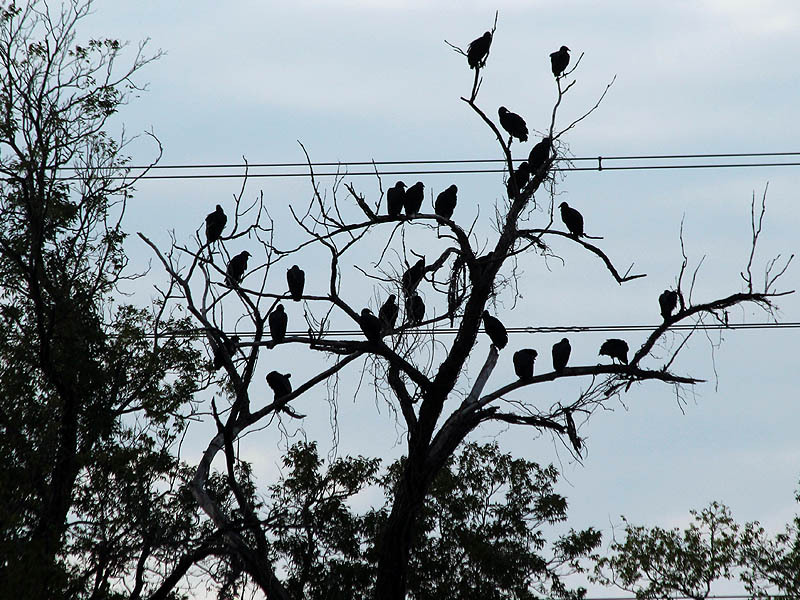 They gather together on trees and other suitable man-made structures to wait out the darkness each evening. 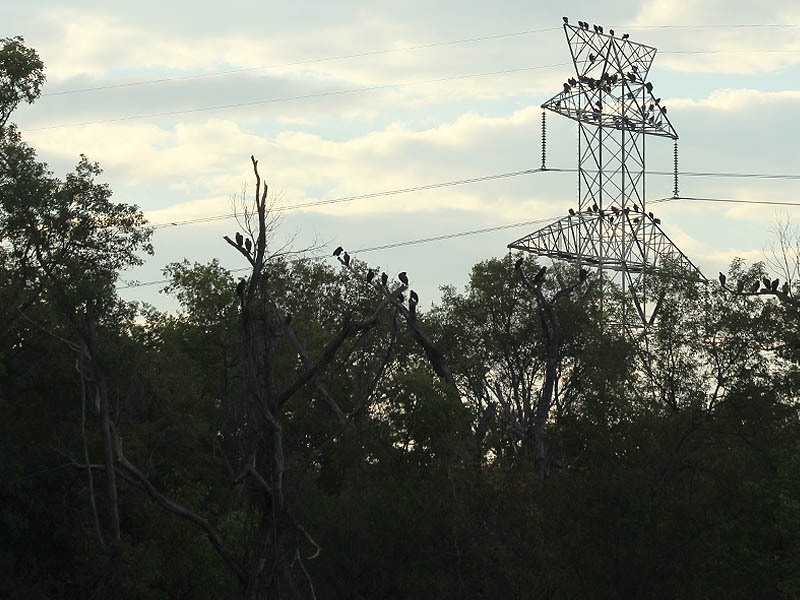 On a recent early morning hike our party came across this sizable roost of Black Vultures along the Trinity River. 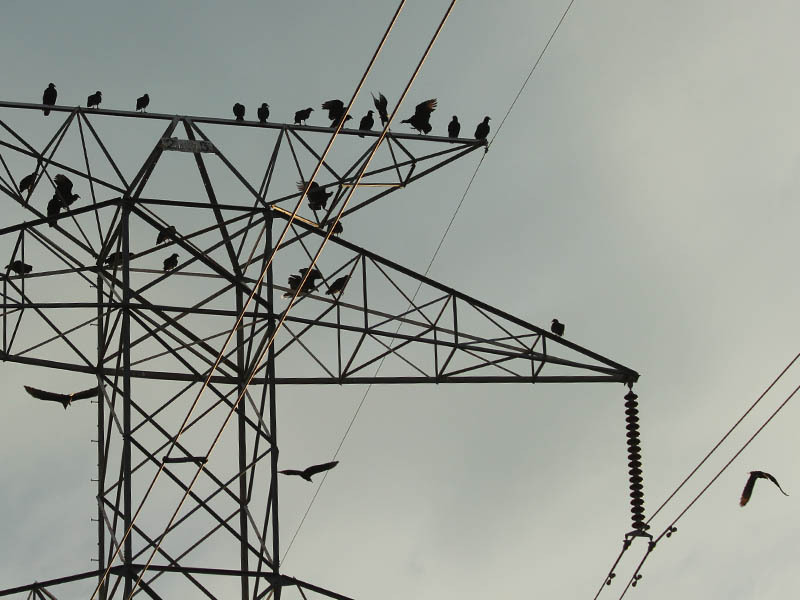 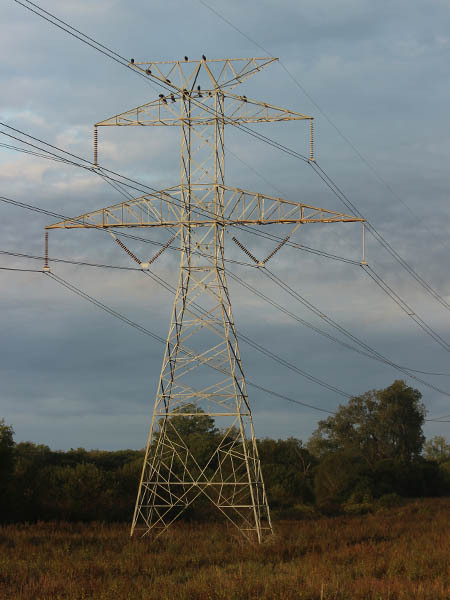 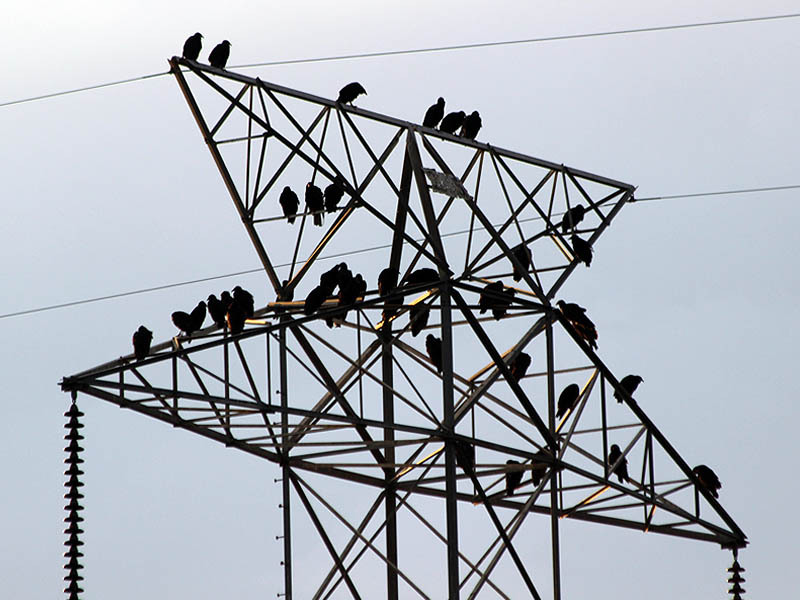 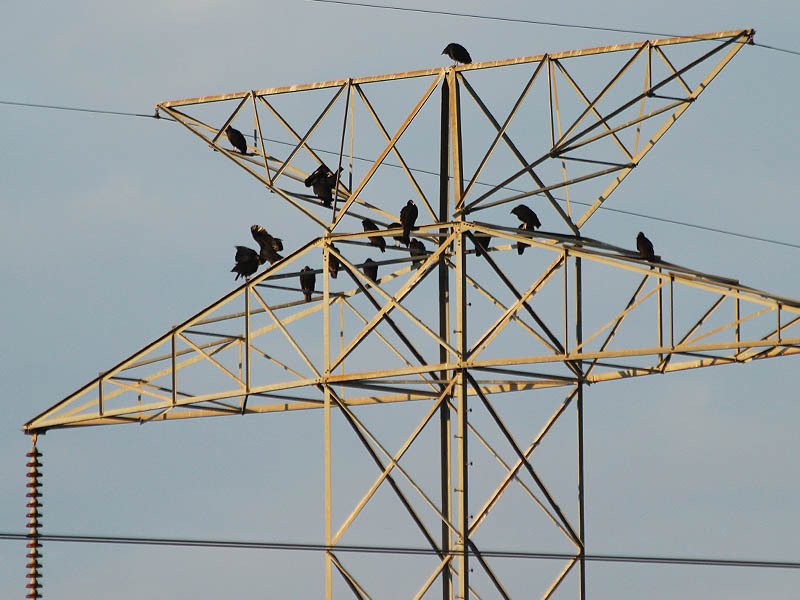 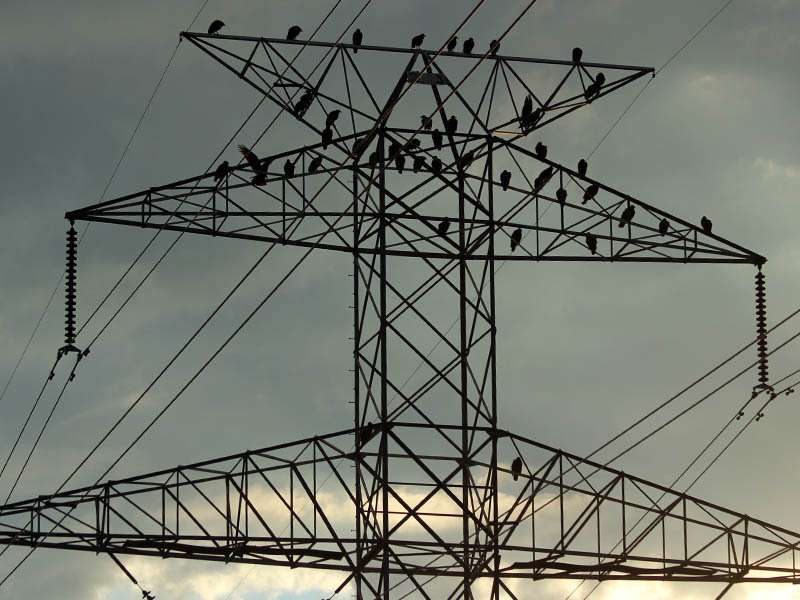 The large black birds (with a few Turkey Vultures thrown in for good measure) were gathered on trees and transmission towers overlooking the water. 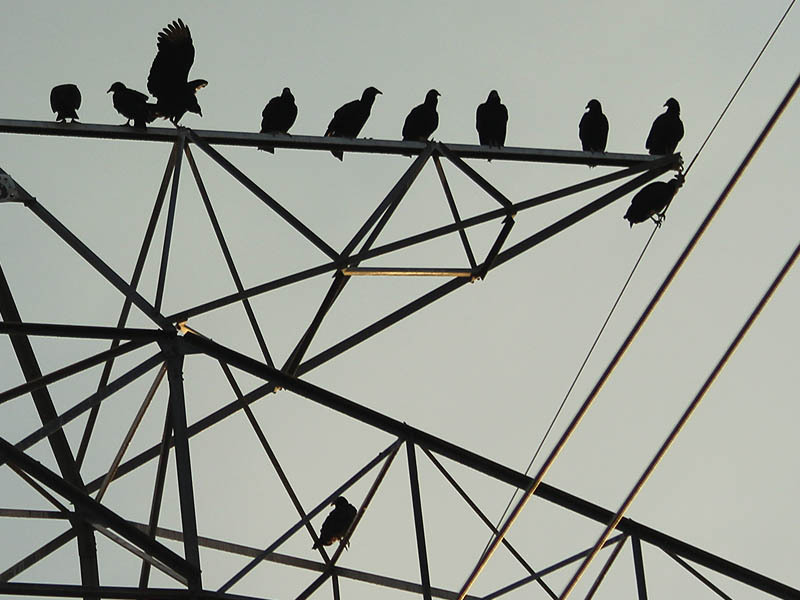 Another sizable group had positioned itself on the concrete ruins of Lock and Dam Number 4 just a short distance away. 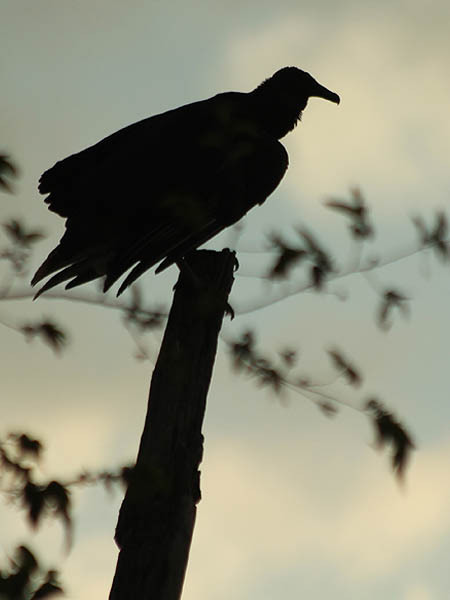 The vultures were waiting for the rising sun to warm the brisk October air just enough to create thermals. 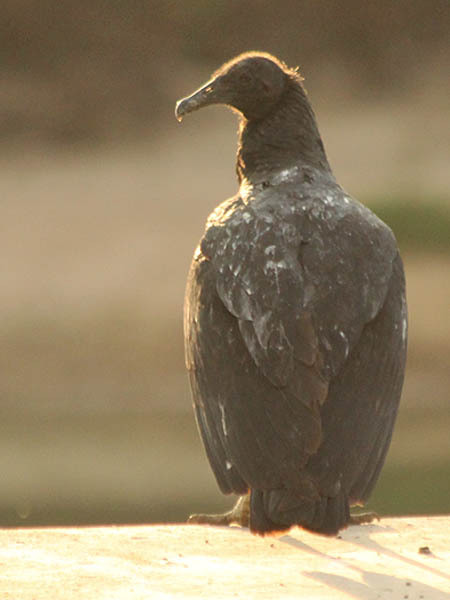 Thermals are columns of rising warm air that assist vultures in gaining altitude. 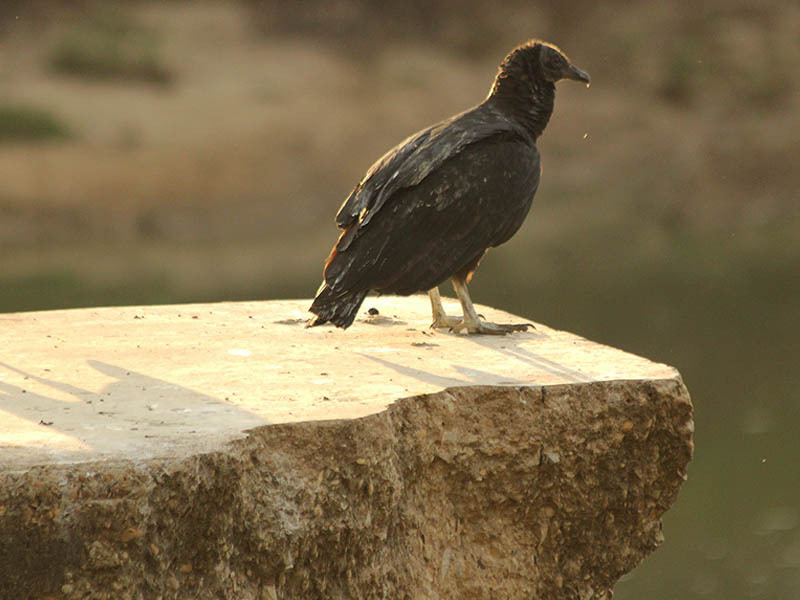 When in flight, Black Vultures rarely flap their wings. 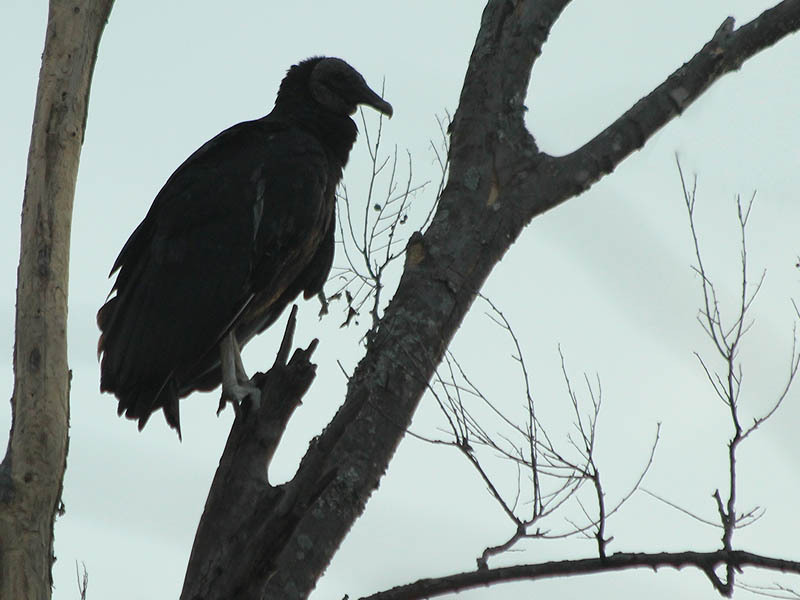 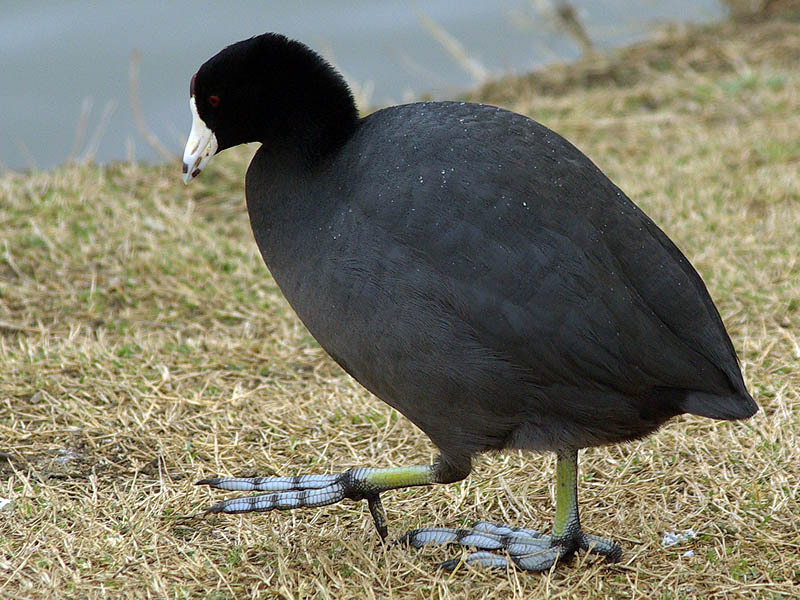 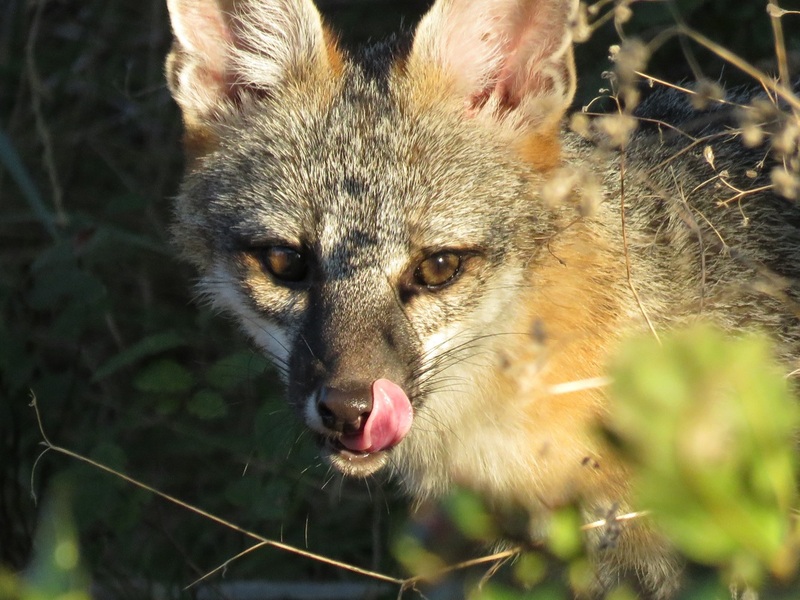 Instead they rely on currents of air to help them glide and soar in their never ending quest for carrion. Next Next post: Red Swamp Crayfish – Brave or Moody?